Emma is a 17-year-old girl who suffers from autism. Since her early age, she has been facing daily challenges and difficulties most of us will never have to deal with. She has difficulties at school, suffers from episodes of anxiety, and depression. That’s when the family decided to apply for an assistance dog and was accepted onto the waiting list. A year later, a special dog named Rocky became an inseparable part of the family. 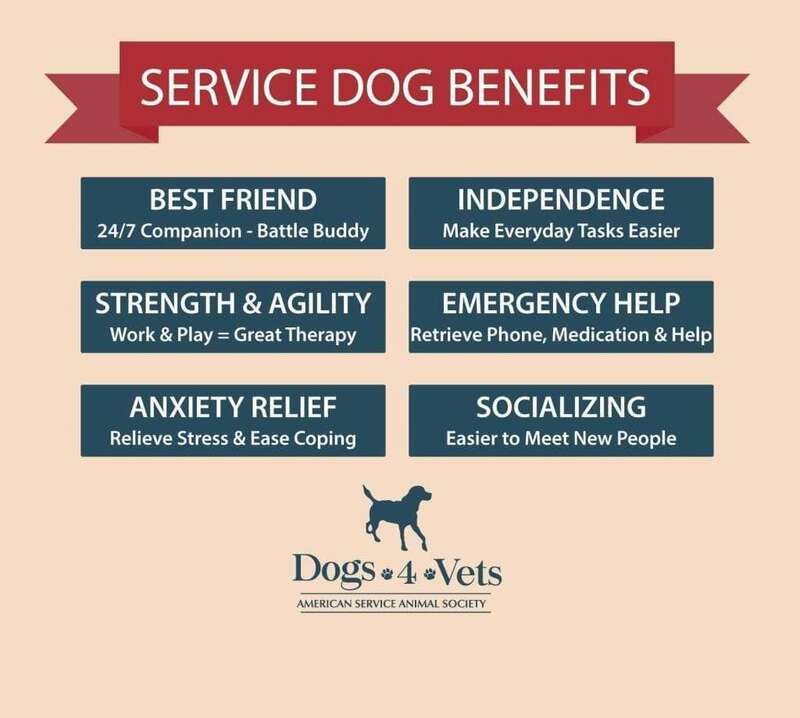 Whether it’s offering emotional support, diabetes assistance, or supporting people with disabilities, our dear canine friends are always here for us. These dogs like Rocky are called assistance dogs or service dogs and are specially trained to help a person with specific needs or a disability. Assistance dogs are special canine companions who provide a specific service to their handler. Their goal is to enhance the quality of their lives by offering them a feeling of freedom, support, and independence. But what exactly do they do? Living with a physical disability or a mental health problem can be challenging for many people. They struggle to perform basic life activities and live a normal life. That’s what assistance dogs are for. They help people with special needs to complete essential daily tasks like going to the market, attending school, or traveling. They help open doors, pick up objects, pull a wheelchair, and alert them to sounds. Probably the most amazing benefit of assistance dogs is the peace of mind they give to their owners. With their help, people with disabilities can feel like a part of the world. How Can Assistance Dogs Help Their Handlers? Assistance dogs are trained to perform various tasks. Some dogs can even do more than 50. The training of each dog is specific and unique, depending on the dog’s breed and the needs of their future owner. Find and lead other people to the owner. By performing all these tasks, the owners have greater freedom, an increased self-confidence, and a reduced need for carers. 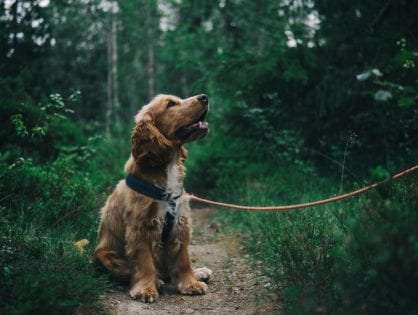 The constant emotional support, companionship, and love of the animal can help them get through their days. How Can I Recognize an Assistance Dog? You can easily recognise an assistance dog. They typically wear special vests and/or harnesses. 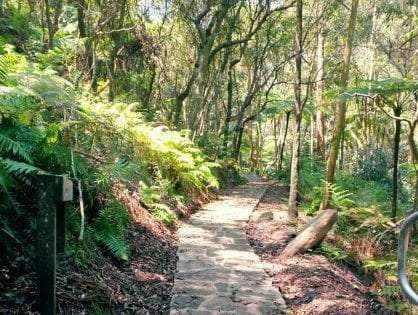 What’s more, they are issued with a license and have public access rights. According to the Commonwealth Disability Discrimination Act 1992, it’s illegal to refuse entry to a person with an assistance dog and anyone who does this can face charges. The only exceptions are aquariums, sterile places, food preparation areas, quarantine areas, and zoos. It’s important to remember that you should always ask before petting an assistance dog. Petting these dogs might prevent them from giving their full attention to their disabled owner. Hearing dogs have training to help people who are deaf or have hearing problems. They alert them to a wide range of sounds, including alarm clocks, telephone, baby cry, smoke alarm, or a doorbell. Upon hearing the sound, the dog makes physical contact with the owner and leads them to the source of the sound. Hearing dogs usually come from animal shelters and rescues. They are mixed breeds and are small to medium in size. In addition to audio response training, volunteers also raise the young puppies. Guide dogs assist people who are blind or visually impaired. They help them avoid obstacles, get around traffic, and stop at curbs. The communication between the dog and the owner is through the harness and U-shaped handle. The most common guide dogs are Golden Retrievers, Labradors, and German Shepherds. Volunteers raise them and professional trainers train them for 4 to 6 months. 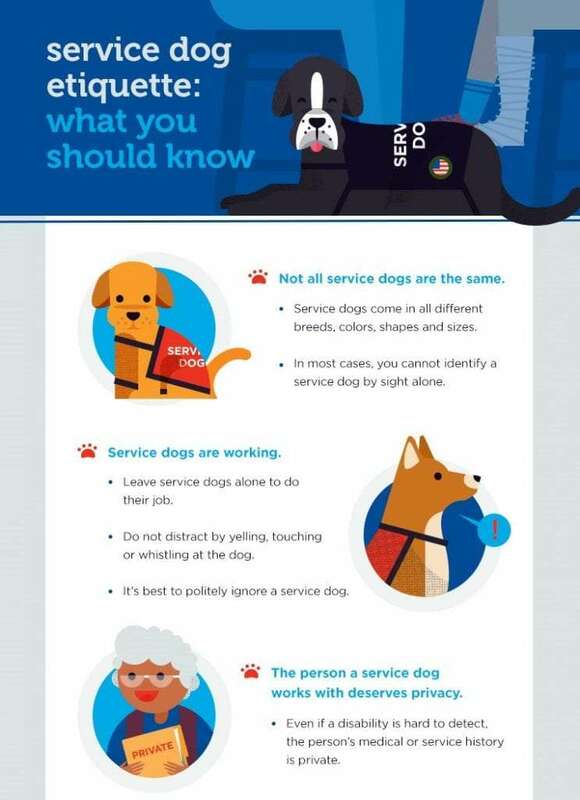 Service dogs help people with disabilities, including autism, diabetes, PTSD, balance issues, seizures, or people who use power or manual wheelchairs. The dogs can retrieve objects, open and close doors, turn light switches on and off, assist people to walk, provide deep pressure, and many other tasks. A large number of service dogs are rescued from animals shelters or bred in breeding programs. Volunteers raise and train them. 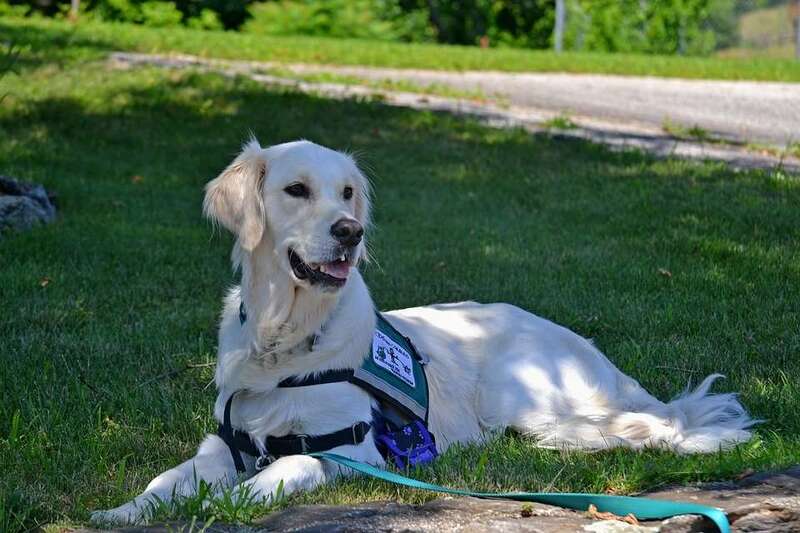 The most common breeds of service dogs are Labradors and Golden Retrievers. How Can I Get an Assistance Dog? Training assistance dogs is a complicated and costly process. Each assistance dog can cost over $35,000, including food, vaccinations, training, and placement. For this reason, only people with certain disabilities qualify to get one. If you live with a disability that prevents you from functioning normally in everyday life, you can apply for an assistance dog via an organisation like Assistance Dogs Australia or Australian Support Dogs. Once you submit your application, a staff member will get in touch within a couple of weeks. Then you’ll have an interview over the phone and a face-to-face interview before going on the waiting list. A final interview might take place once an assistance dog becomes available. For more detailed information, here’s a list of accredited training programs in Australia and New Zealand.